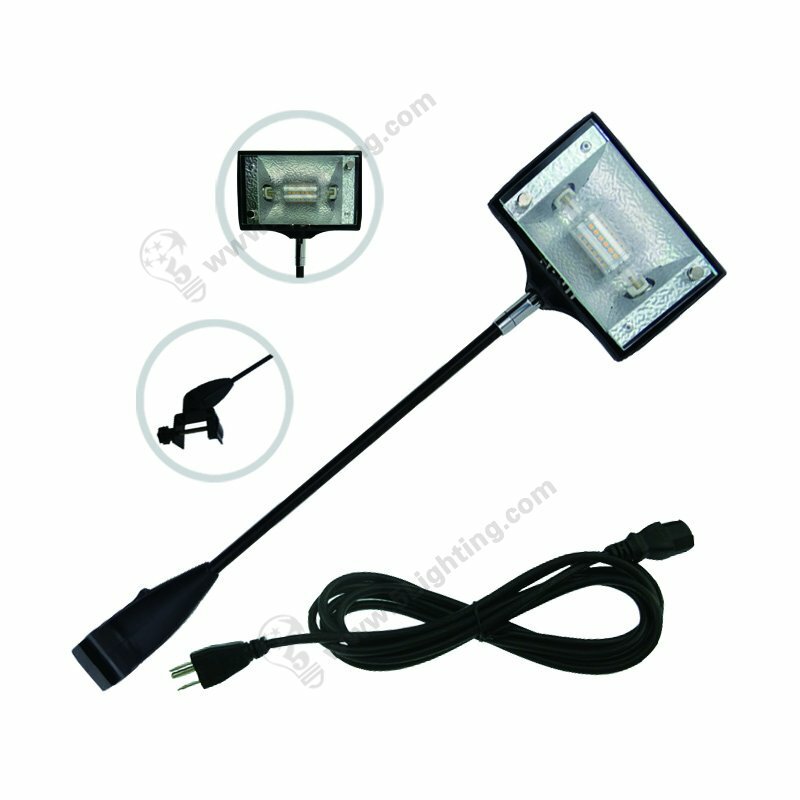 1) Panel display board lighting wity multi clip LXR7S-A is appropriate for the panel display in a trade show, an adjustable tail clip can be mounted anywhere on the panel display, this tailclip made of aluminium material is kept in place and is not easy to fall off, to achieve the desired effect of customer satisfaction. 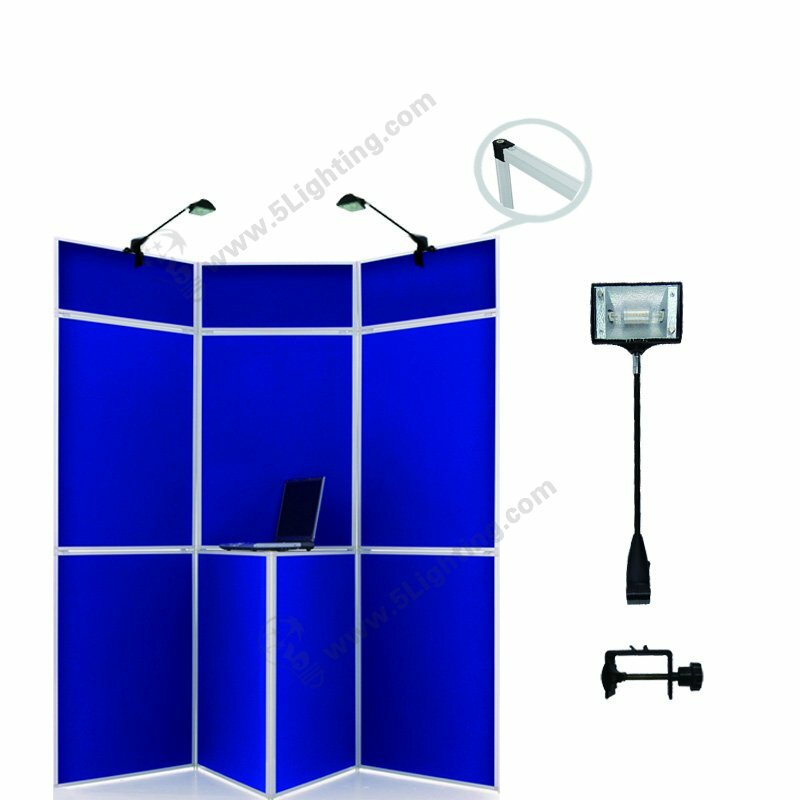 2) Multi clamp Trade show lights for folding panels 7watts consumption 100 equivalent halogen display lighting, which can save 90% energy and send out brighter lights, protecting the environment can bring higher costs and benefits. 3) Exhibition lights for panel display 7W adopt R7S LED Light Bulb as lighting source, the 360-degree Angle of optical Angle is full brightness, energy saving, radiation-free and environmental protection, it emits more light and will never be different or fade away because of high quality LED chips. 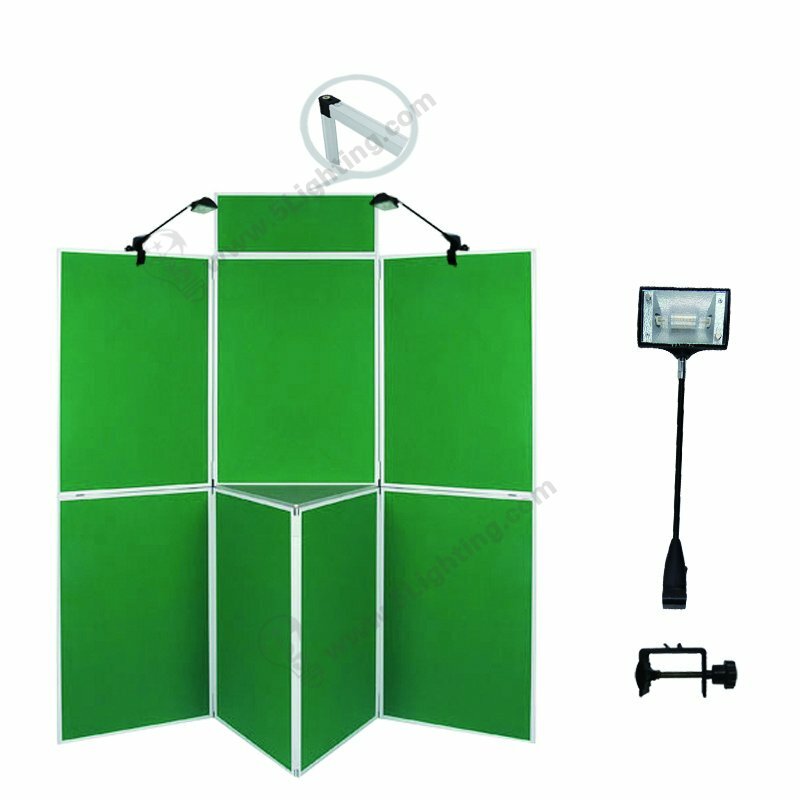 4) It’s made of metal, plastic, and aluminum can adjust the 270 degrees, 90-degree vertical adjustment for positioning, convenient and flexible. 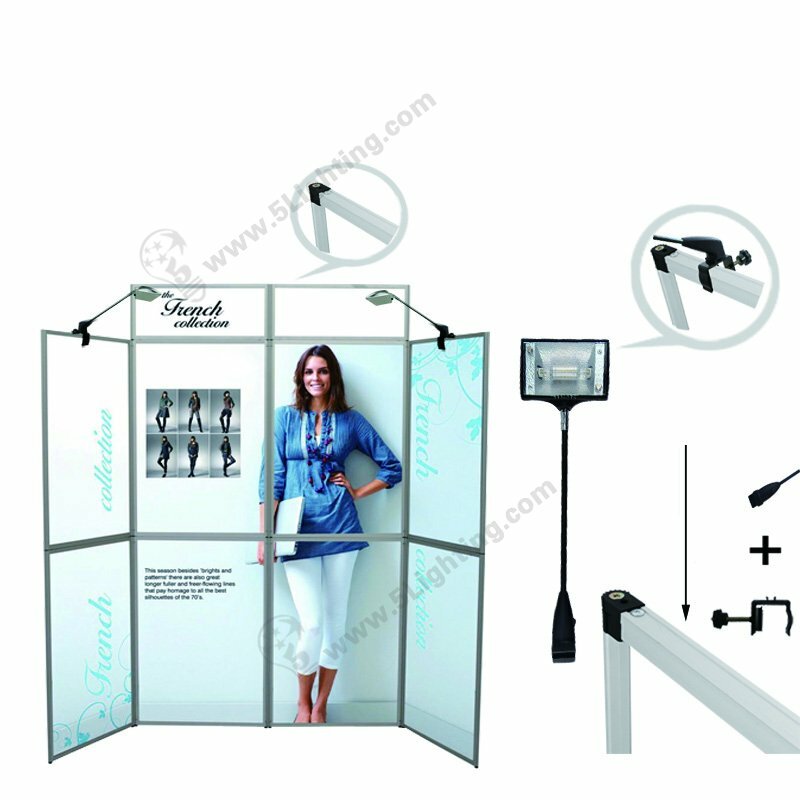 Using a special tail clip, it can be fixed quickly on folding panels, achieve the most idealized effect of the exhibition. 5) Panel display board lighting LXR7S-A finish color has silvery and black, and light appearance with cool white and warm white, CCT also can be customized according to the customer’s needs. And it has passed the CE, RoHS, UL, SAA approved. 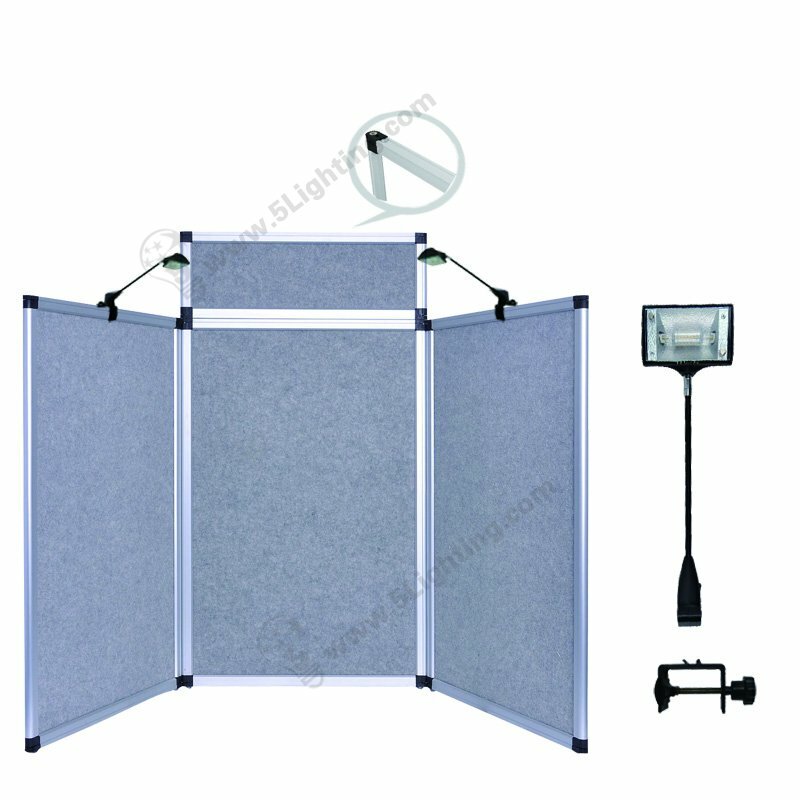 Panel Display Board Lighting with multi clip -LXR7S-A, Exhibition display lights that easy installation for folding panel board applications.